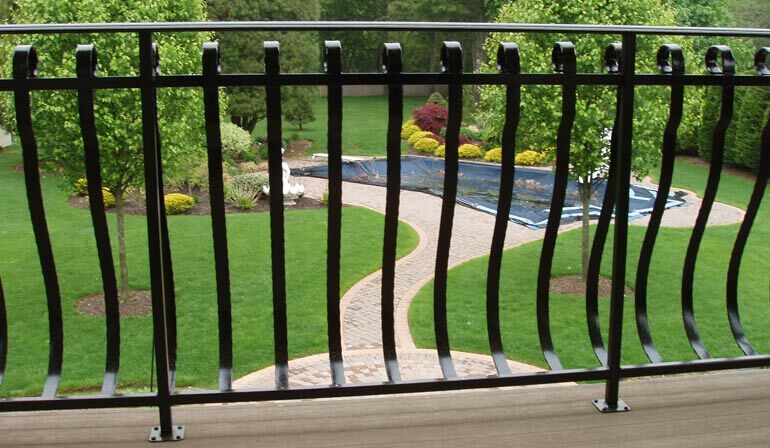 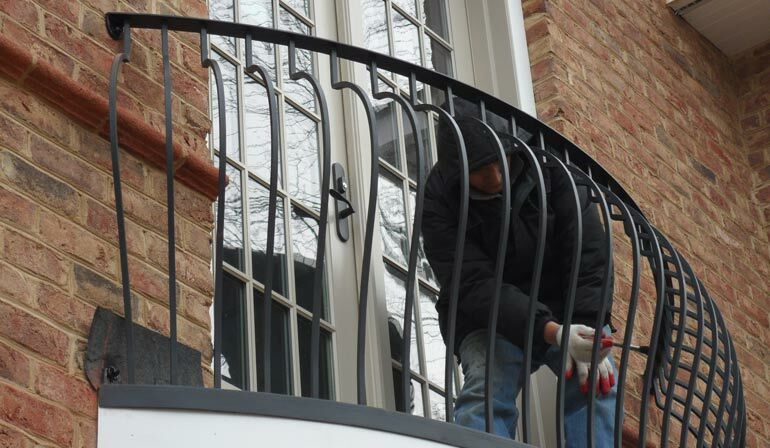 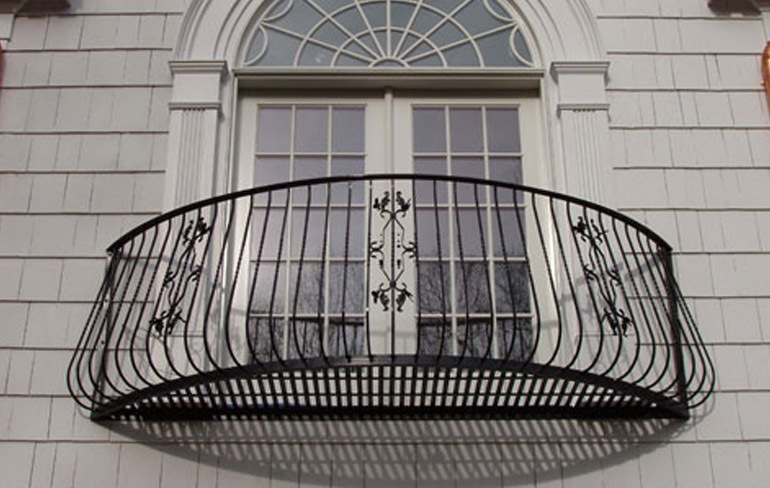 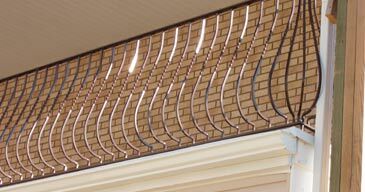 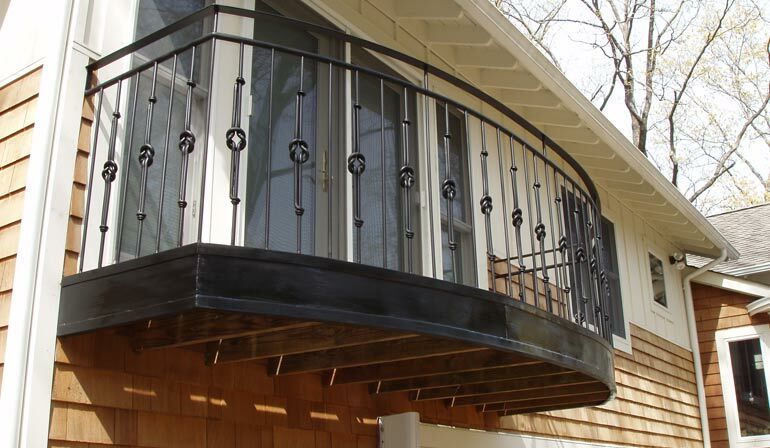 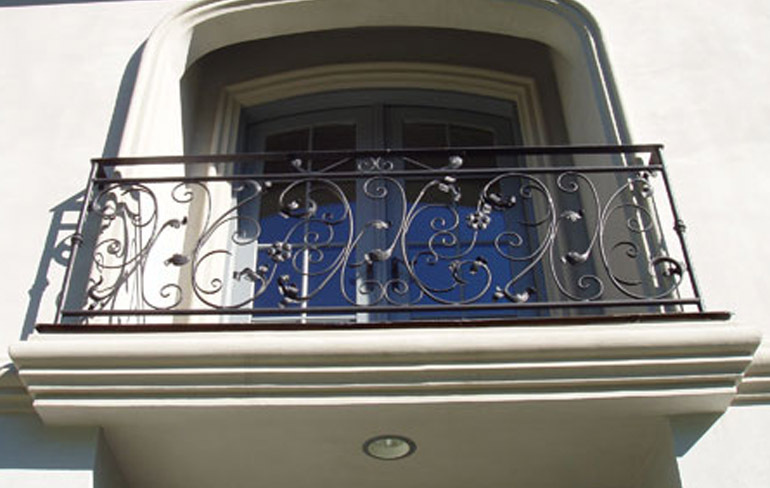 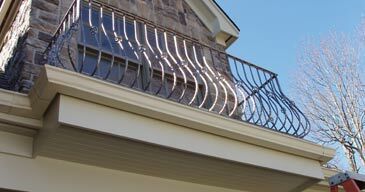 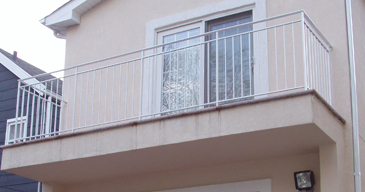 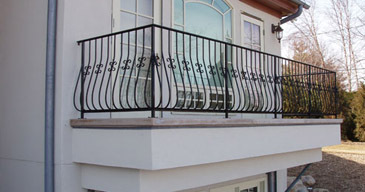 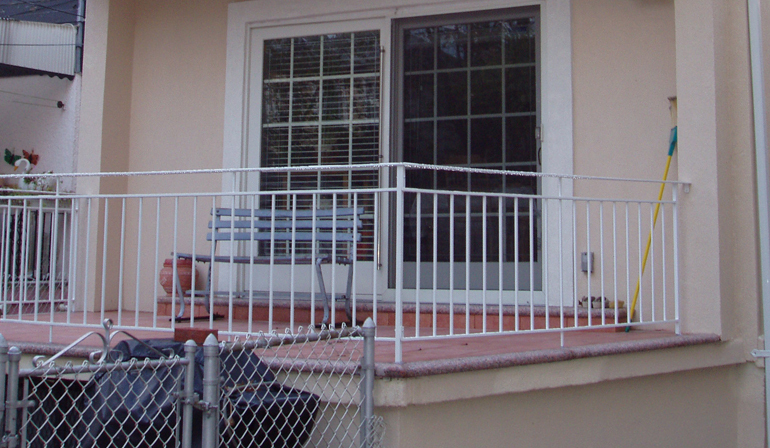 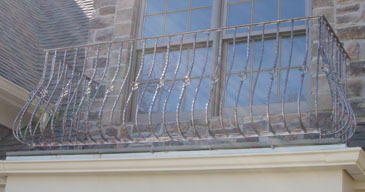 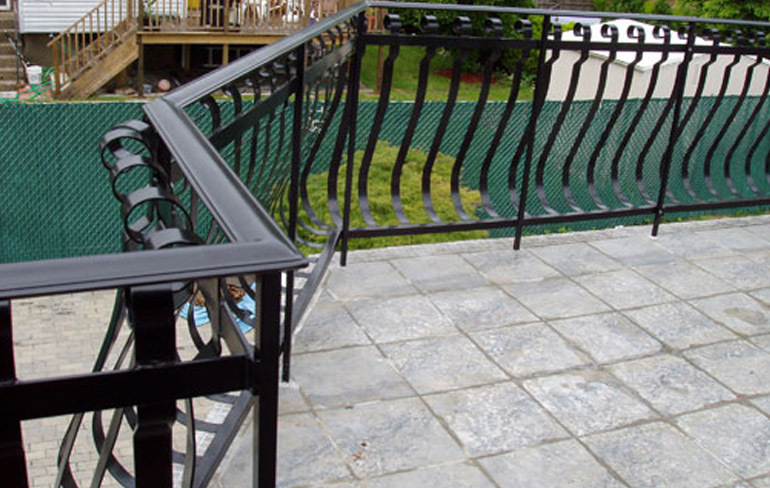 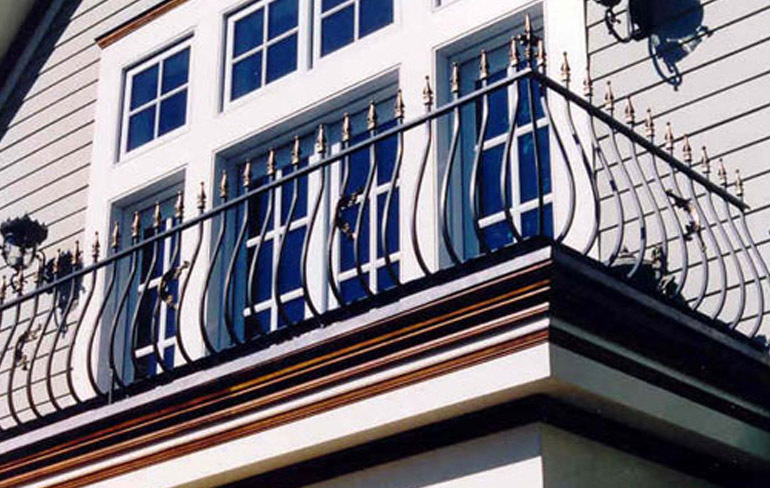 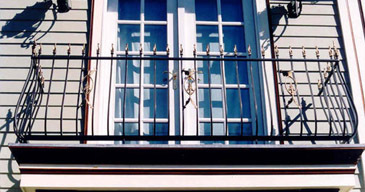 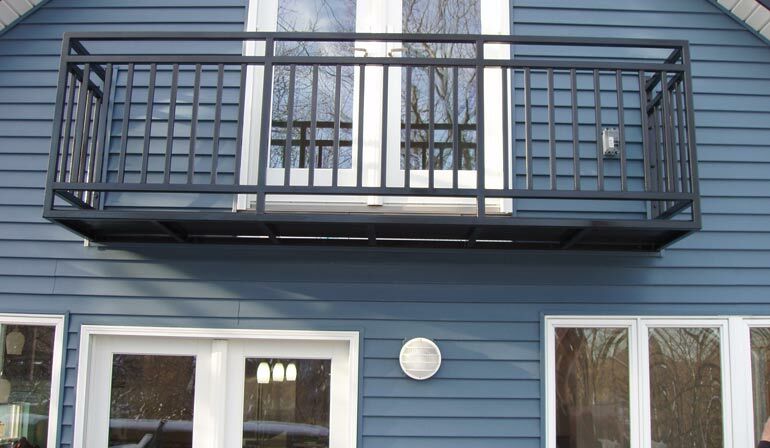 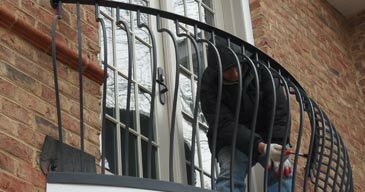 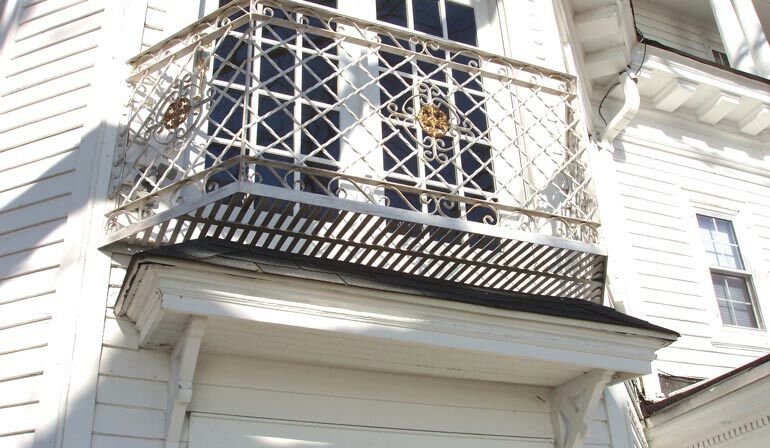 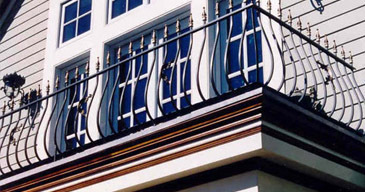 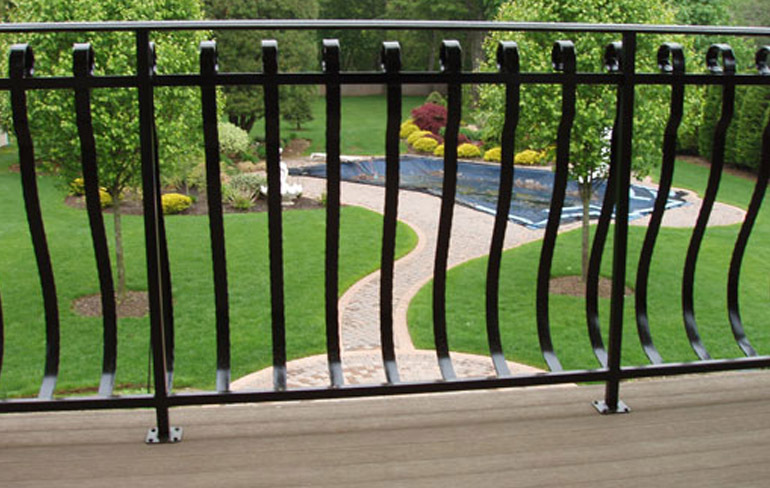 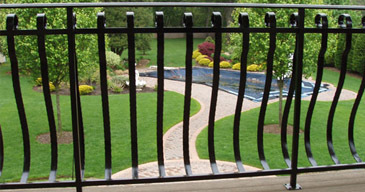 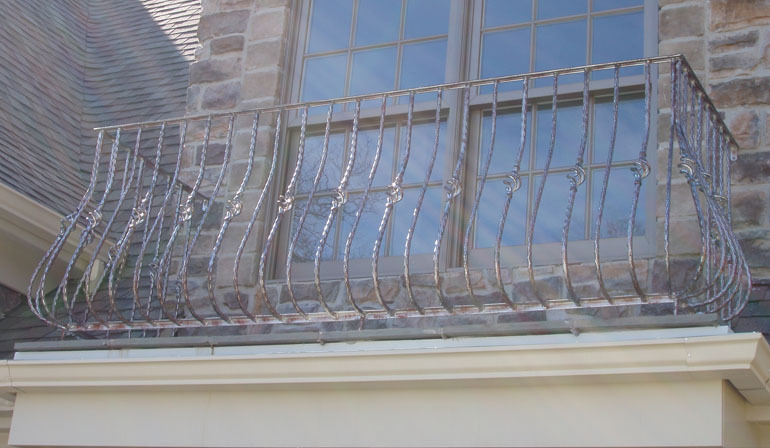 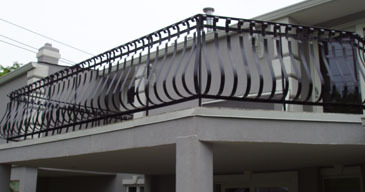 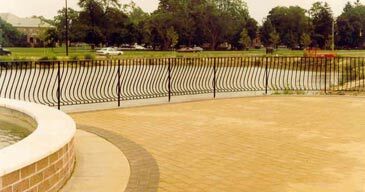 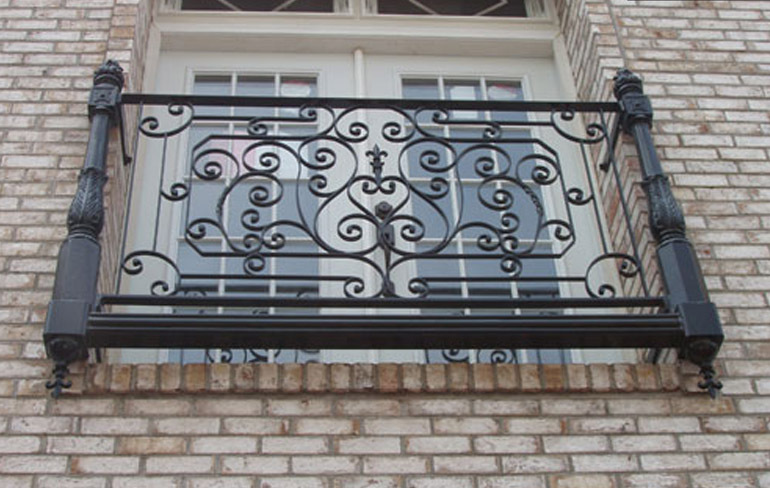 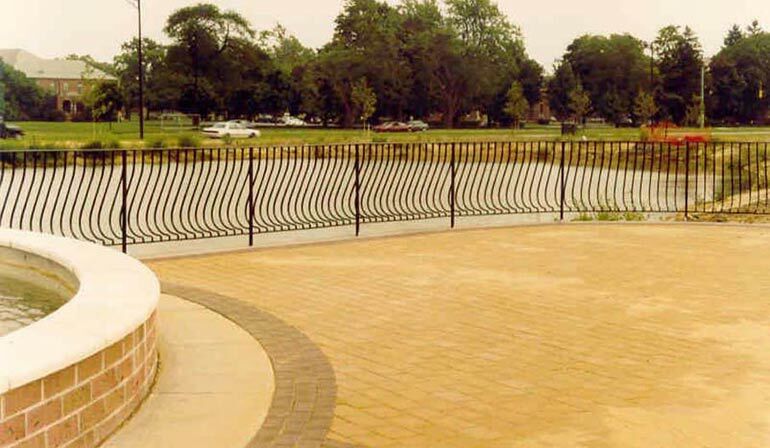 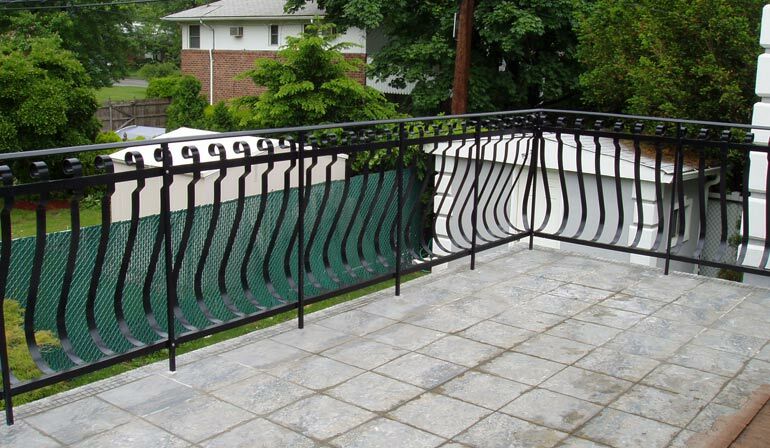 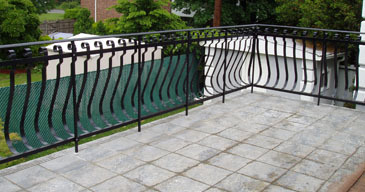 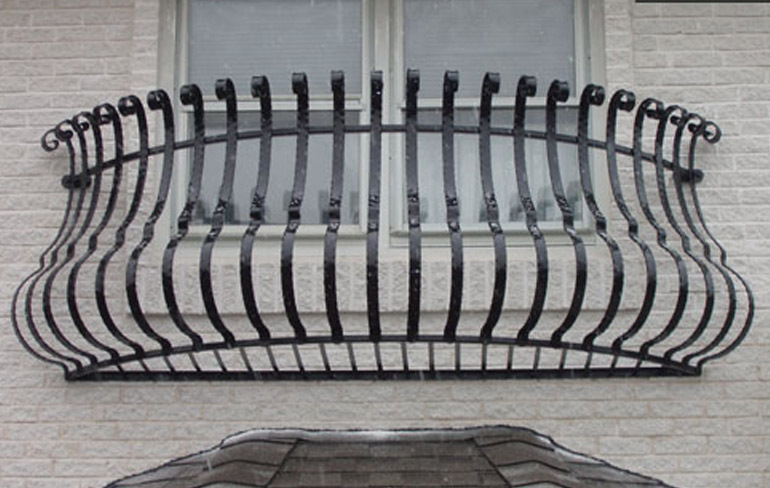 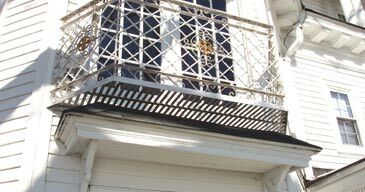 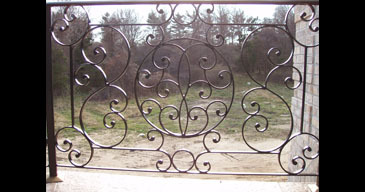 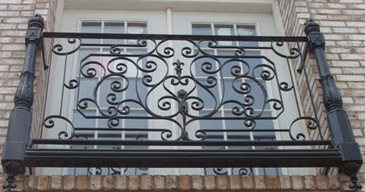 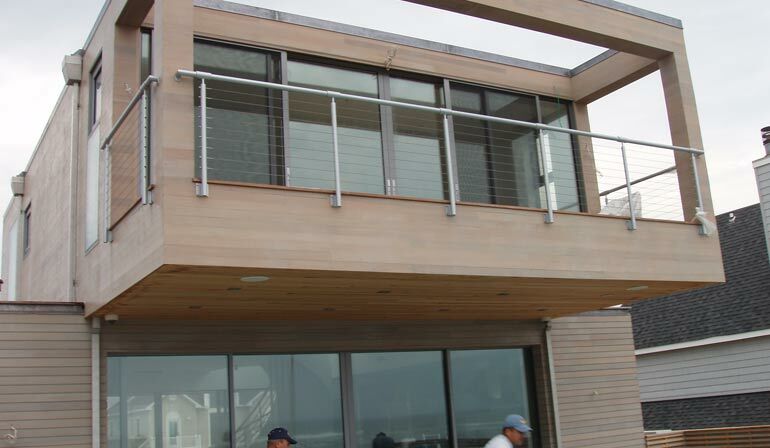 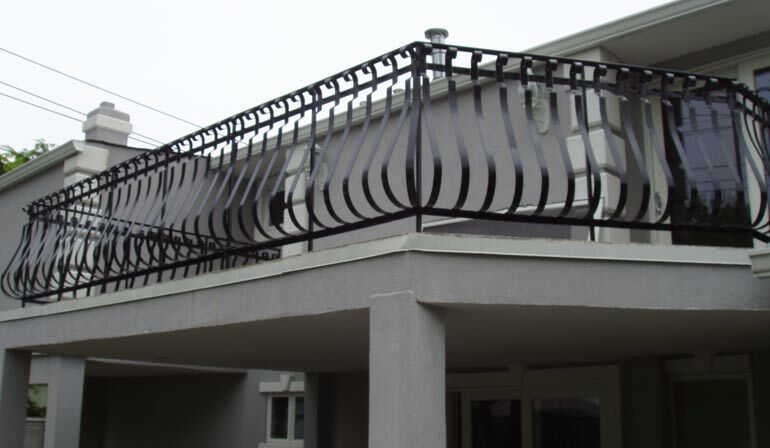 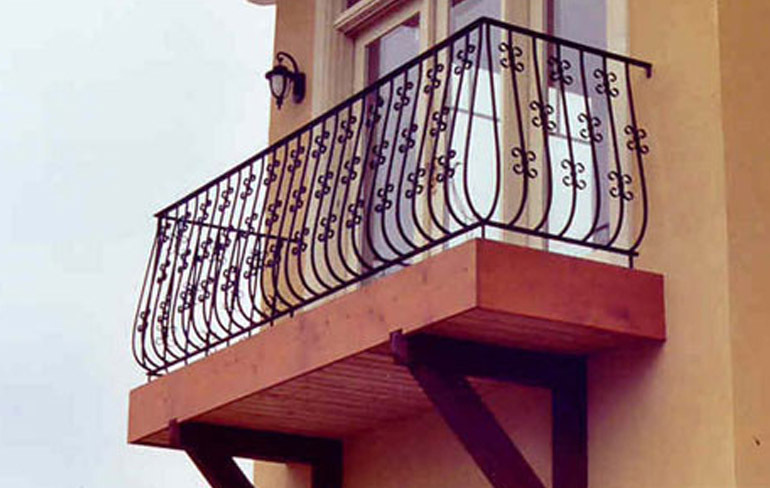 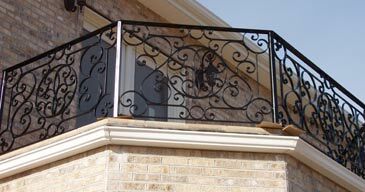 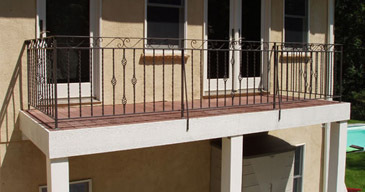 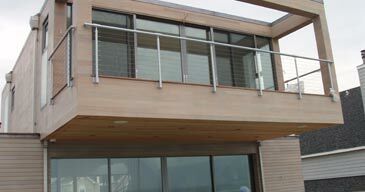 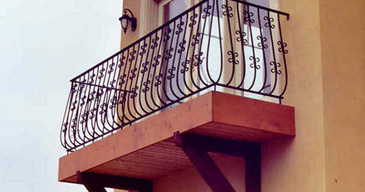 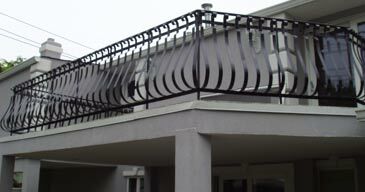 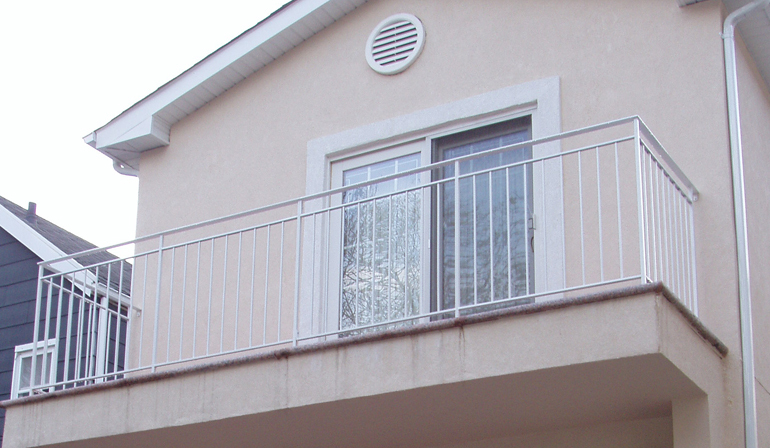 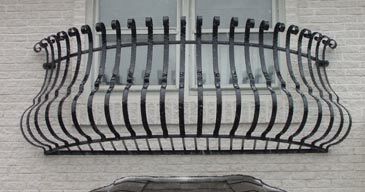 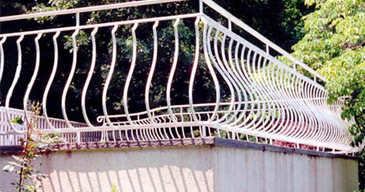 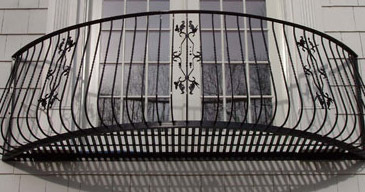 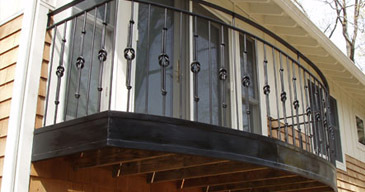 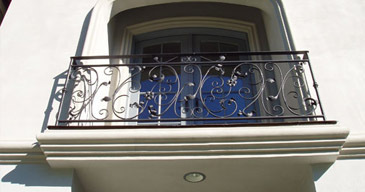 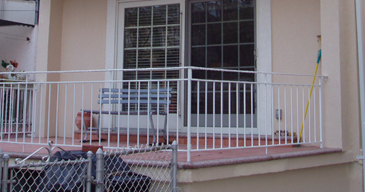 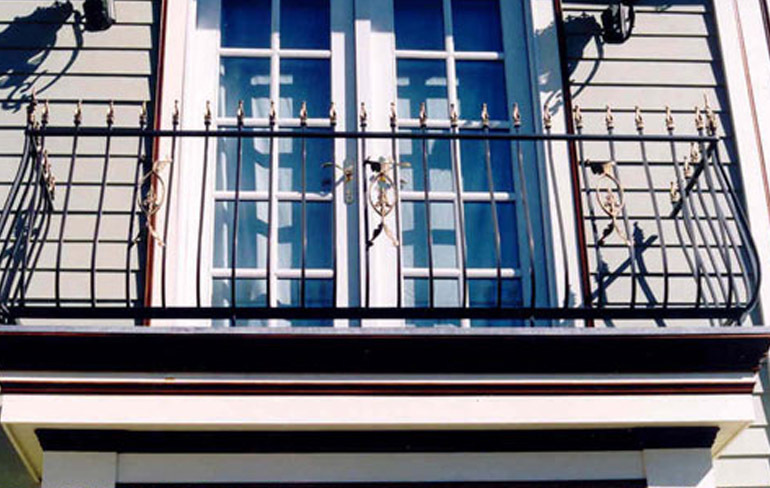 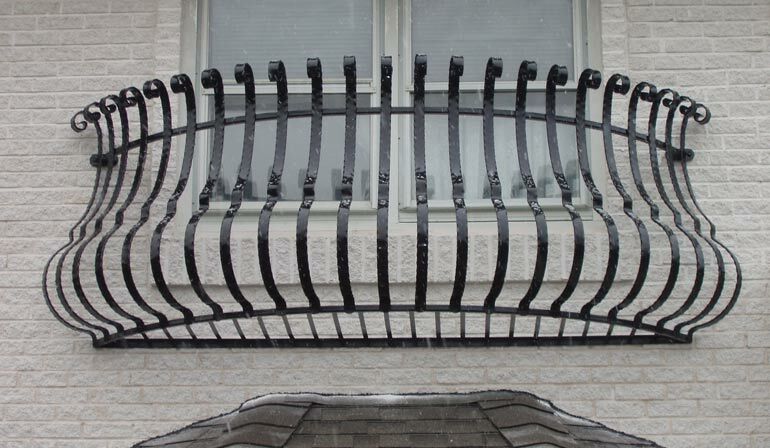 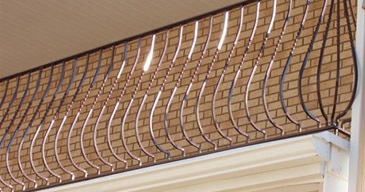 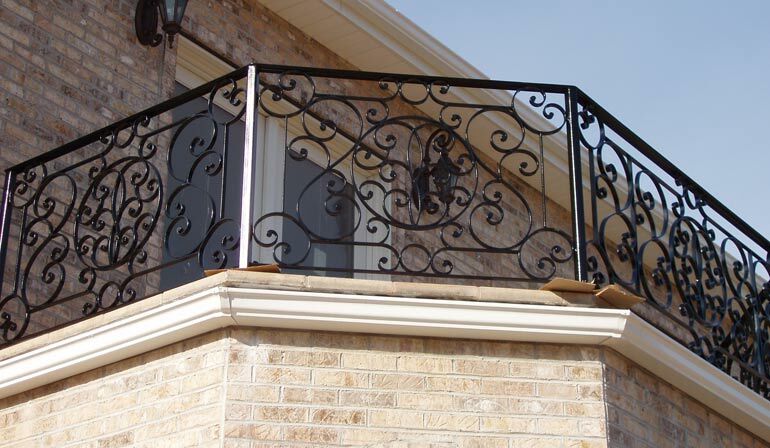 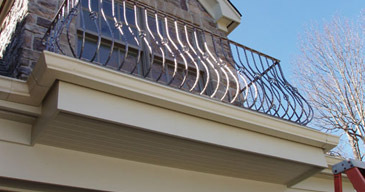 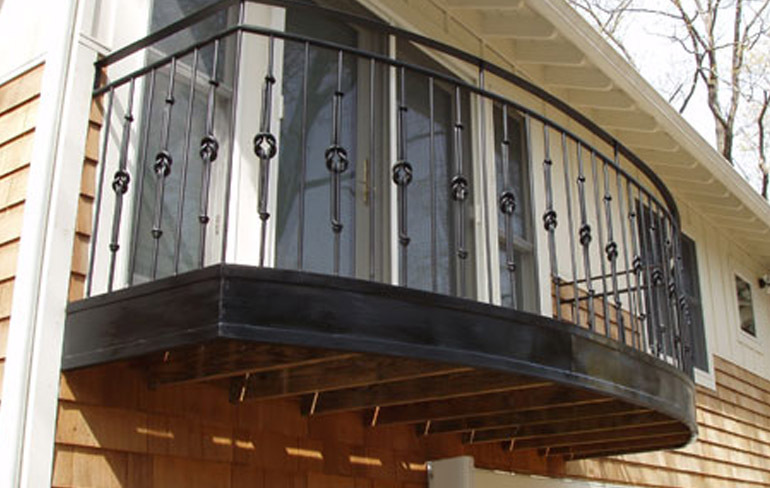 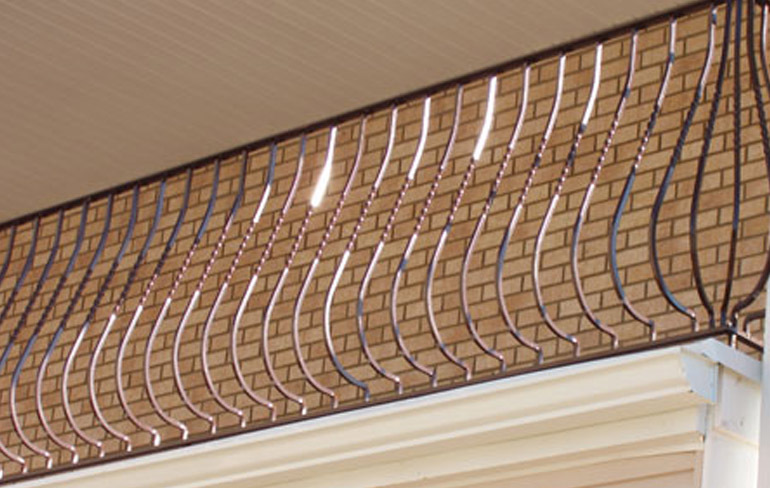 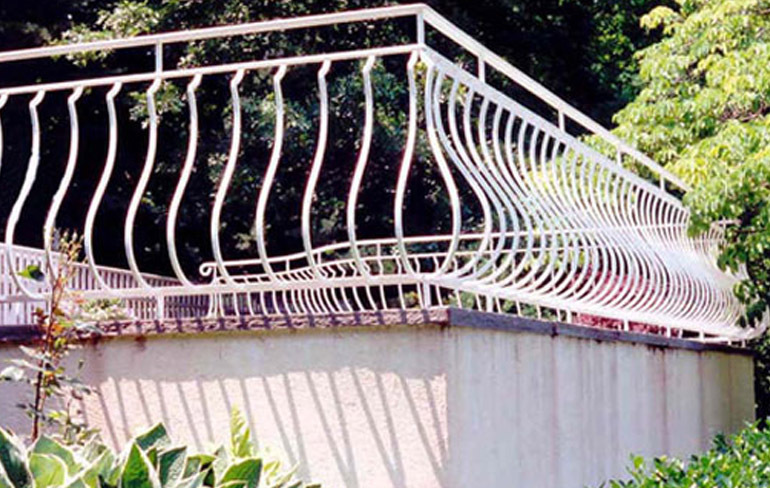 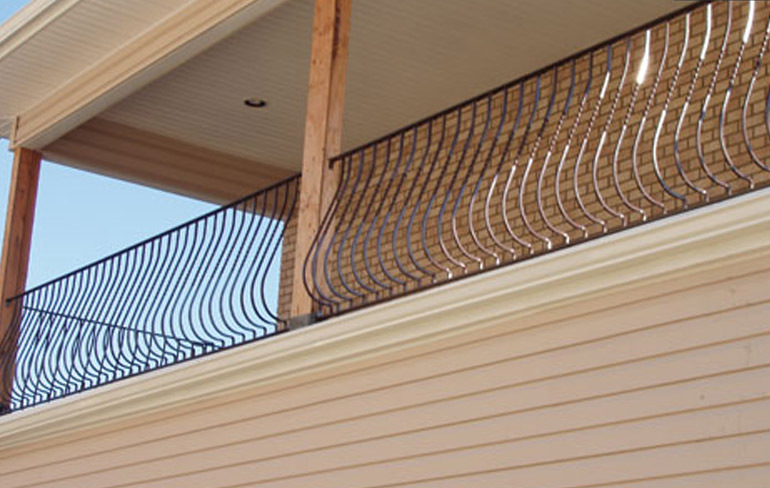 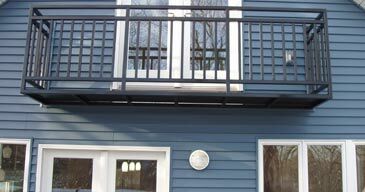 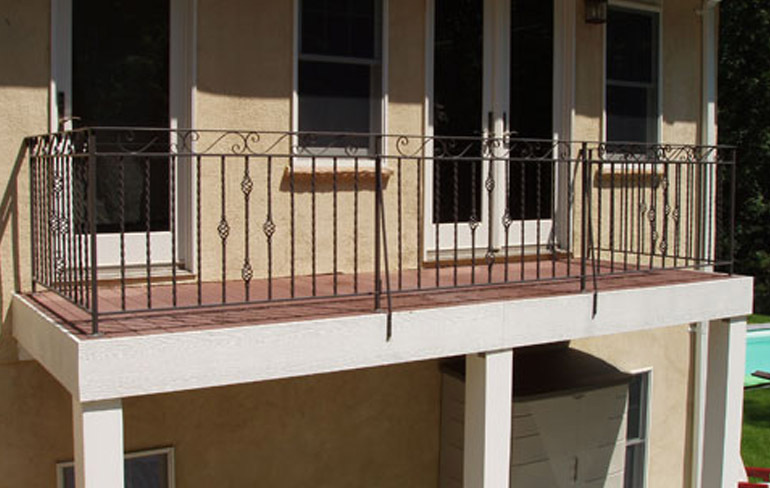 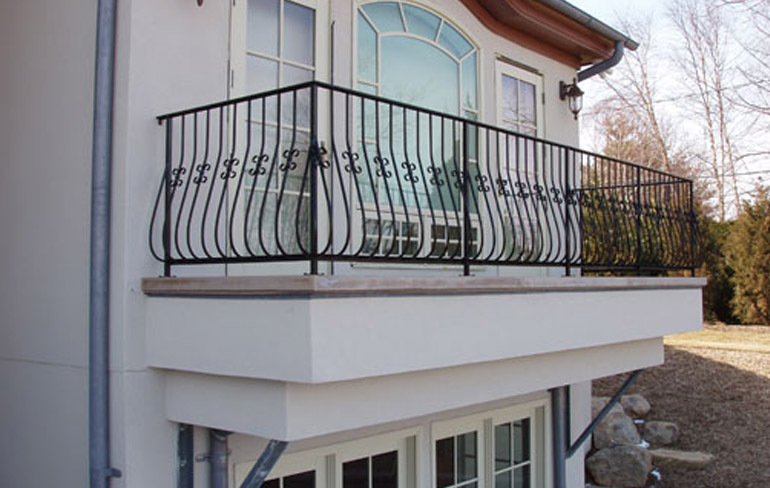 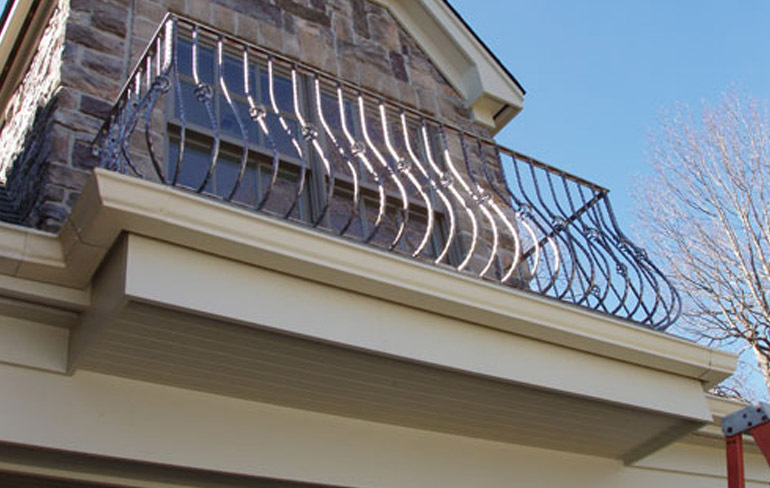 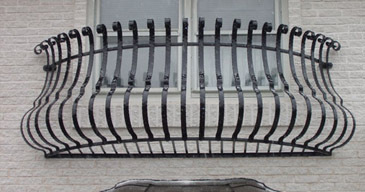 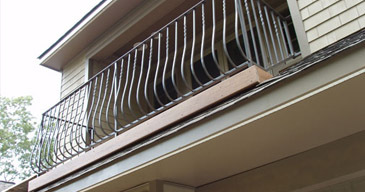 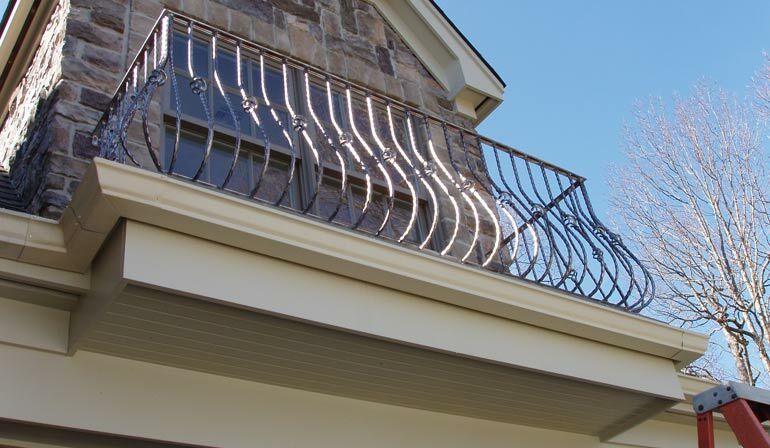 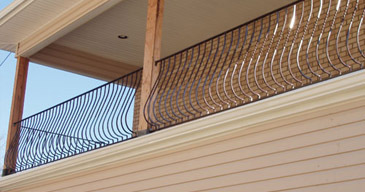 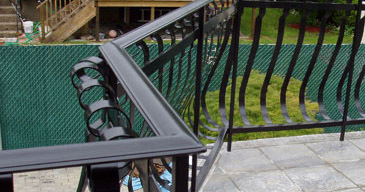 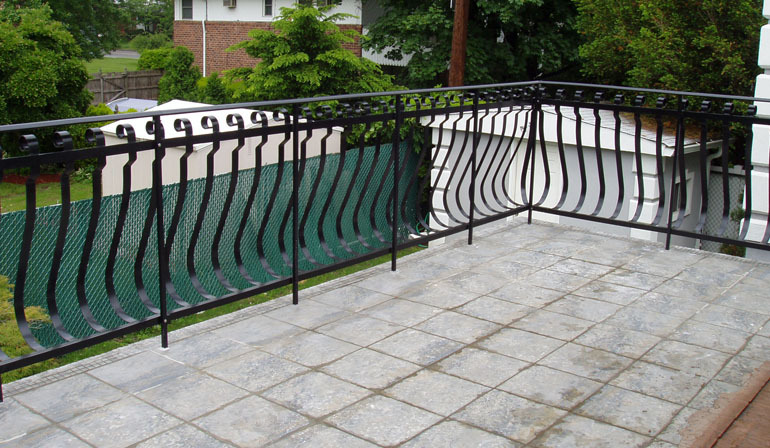 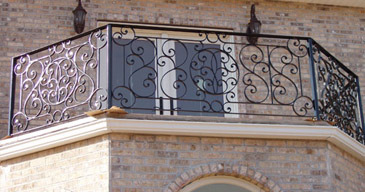 Balcony railings are designed for safety but also have a decorative function. 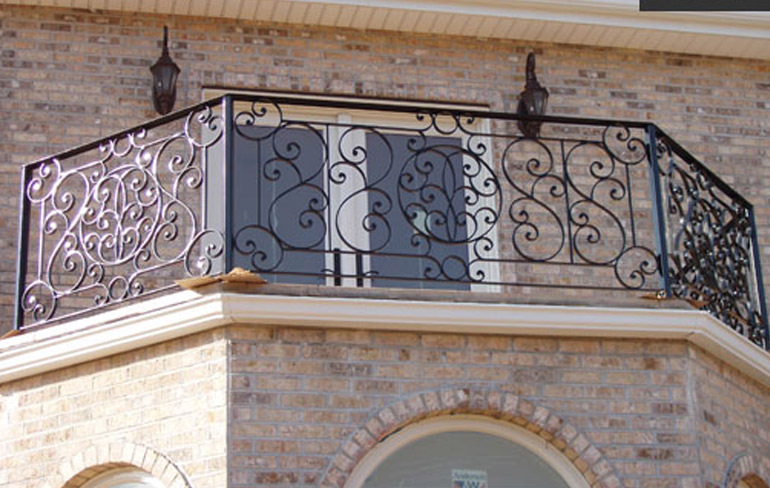 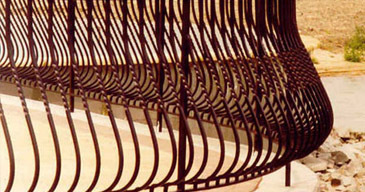 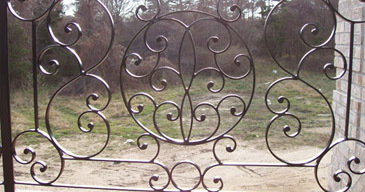 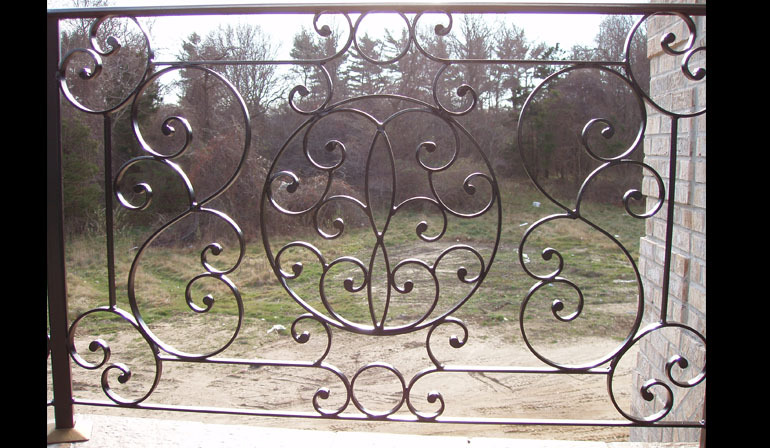 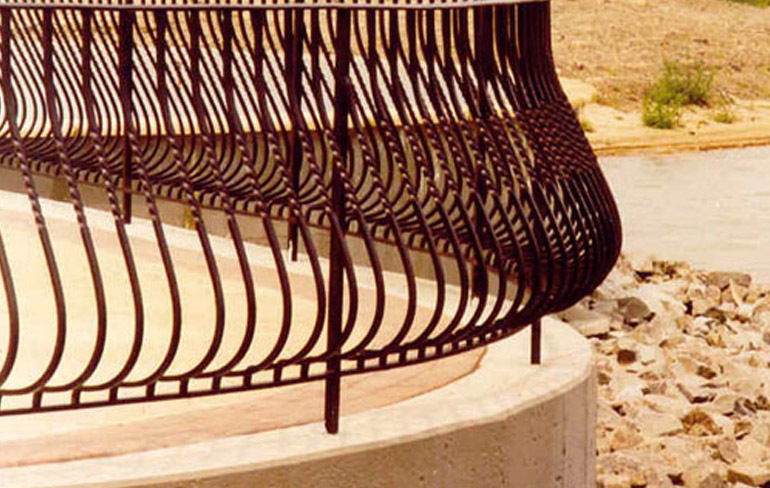 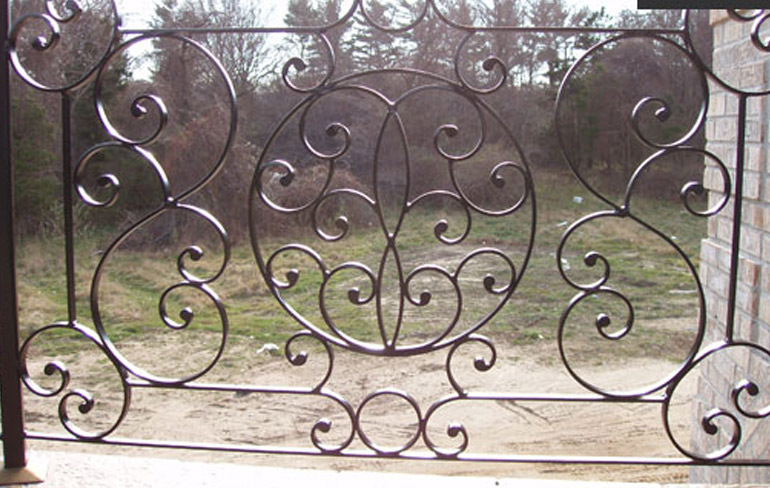 Wrought iron railings offer a finished touch with scrolls and twists for a more traditional feel, or straight lines for a more modern edge. 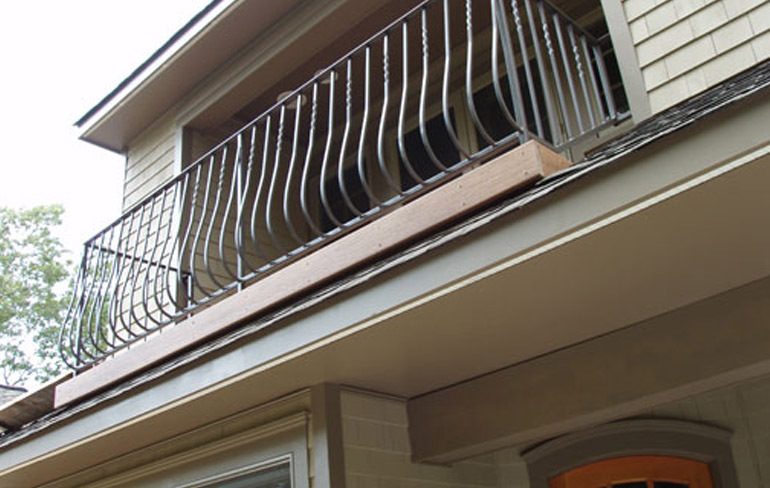 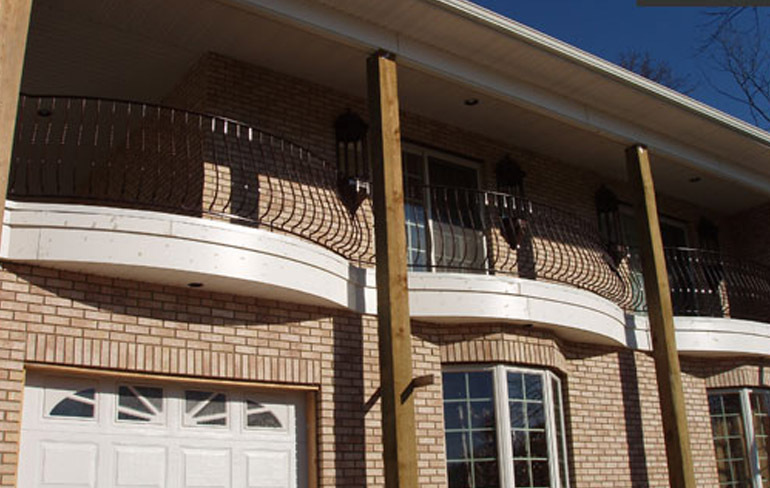 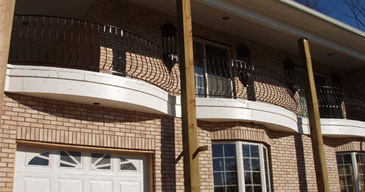 Custom balconies provide a focal point, curb appeal and add elegance to any home.